DOCTOR WHO: The Master Encounters - THE ULTIMATE FOE | Warped Factor - Words in the Key of Geek. 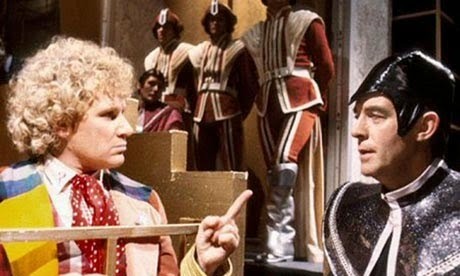 Although I generally regard season twenty-three as one story instead of four separate ones, I’m going put that aside and explore the last two episodes The Ultimate Foe, known to me at one time as Time Inc. A lovely conclusion to the Trial arc which sees the identity of the Valeyard revealed as the Doctor! 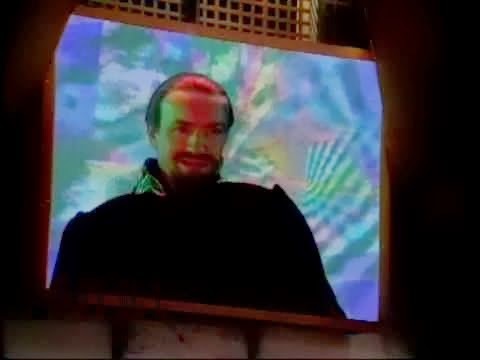 But who else could bring us this stunning revelation but the Doctor’s very own arch nemesis, The Master. Having escaped the Rani’s TARDIS after the events of The Mark of the Rani, he decides to assist the Doctor in his ever worsening battle against the Valeyard. Why in this instance does the Master choose to assist the Doctor? Simply because he hates the Valeyard more. To destroy the darker side of the Doctor is the ultimate test for the Doctor’s ultimate foe. The Ultimate Foe gives us an opportunity to see the return of one of my personal favorite characters, Sabalom Glitz. 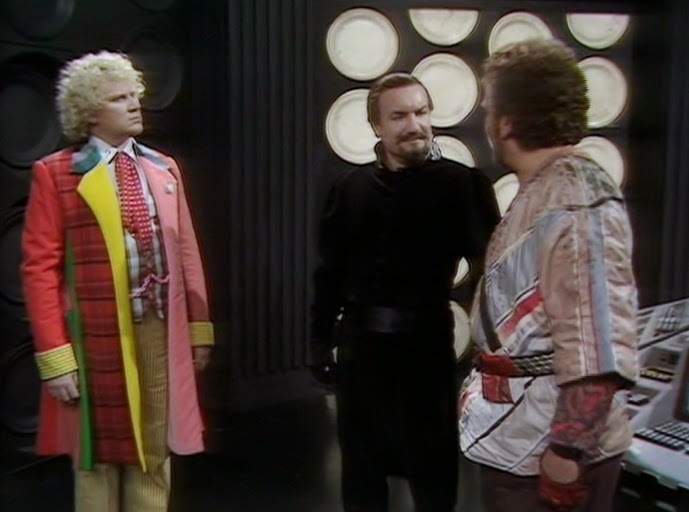 He and Mel are chosen by the Master as witnesses of the Doctor’s innocence. While Glitz may not generally be the most trustworthy person, he is deemed worthy to defend the Doctor. The Doctor throughout the entire story insists that the evidence has been tampered with and it's during The Ultimate Foe segment that we learn that he is right. The Valeyard has been tampering with the evidence and framing the Doctor to gain his remaining regenerations. Colin Baker is spectacular, working well with the cast and the material given. It seems odd that after such a fantastic season the leading man would be fired. Personally I think it was the biggest mistake made by the BBC concerning Doctor Who thus far. I love Colin’s cheeky personality, his sass and his overall tone in the part is perfect, which is why he has secured the third spot on my favorite Doctor’s list, after Peter Davison, (my favorite) and Patrick Troughton. The single member of the supporting cast for the season that I don’t believe could’ve been played by anyone else is Michael Jayston. Always on point, the character never falters, the performance chilling and atmospheric with jets of the Doctor’s own personality thrown in, but with more malice and that shinning evil quality you get with the traitors or bad renegade Time Lords. He truly does the part justice, as does Lynda Bellingham as the Madam Inquisitor, attempting to keep the clam whilst the Doctor refers to the Valeyard as the Brickyard, the Knackers yard and the Graveyard (amongst others) during the trial. But in The Ultimate Foe the Doctor is informed that this was tampered evidence and actually Peri is alive and well and has found happiness alongside King Yrcanos. What a shame she didn't go out like we thought she did. Andrew Jero is 18, lives in Iowa and has a very strong love of both Red Dwarf and Doctor Who. He enjoys acting and writing plays, television scripts, and short stories. Follow Andrew on Twitter.